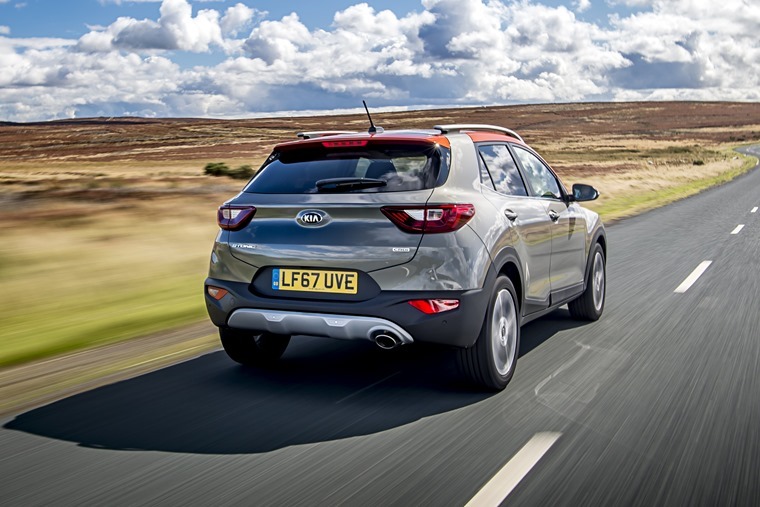 Kia has entered Europe's fastest-growing market sector with its new Stonic small SUV now available to lease. Monthly rates from less than £200 per month are currently available and the first UK customers expected to receive their cars by the end of the month. 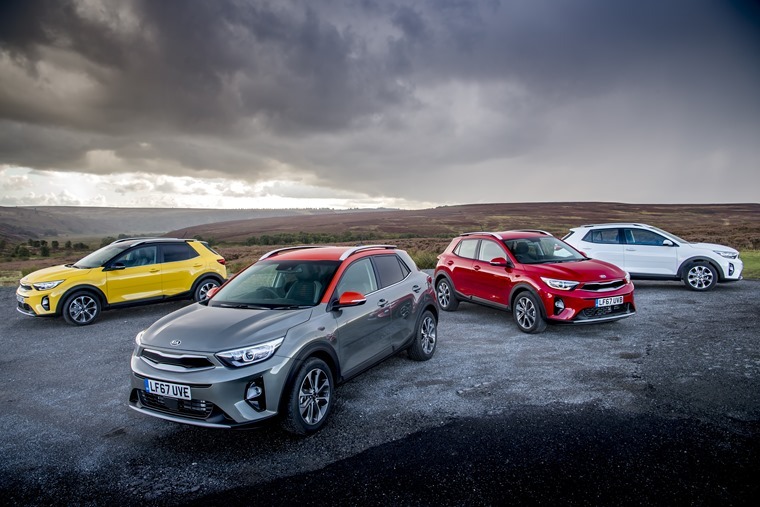 This all-new model line is aimed at taking on Nissan’s mighty Juke as well as new arrivals on the market like the Hyundai Kona and Citroen C3 Aircross. It is based on the new Rio platform, and as such it isn’t what you’d call a large SUV. With a sweeping roofline and accessories such as a roof rack giving it a sporting look, there’s still no mistaking this is a Kia thanks to its now trademark grille and rounded front end. It also gets a host of rugged body trim, again giving it a look that’s now synonymous among small crossovers. It promises to bring numerous customisable options too, notably a range of 20 contrasting colour schemes. Inside you’ll find a dashboard that’s carried over from the Rio, with a 7in ‘floating’ touchscreen infotainment taking pride of place on the dashboard. As we’ve come to expect from cars in this class, headroom is generous and the passenger compartment is spacious. 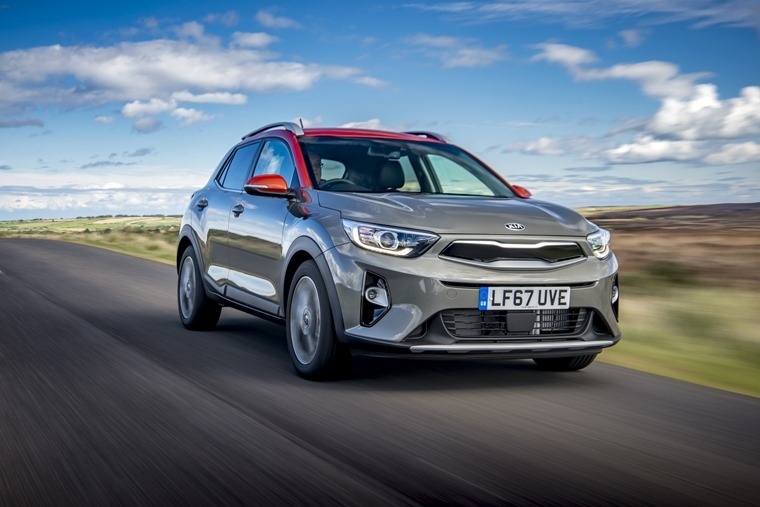 Kia is keen to point out that tech lies at the heart of the Stonic, and as such it gets active cruise control, keyless entry as well as safety features like autonomous braking and lane departure warning. In the trim department, two basic model lines are available – ‘2’ and ‘First Edition’. The latter acts as the range-topping variant and features that 7in infotainment system, contrasting exterior colours, Autonomous Emergency Braking, sportier interior trim, grey faux leather upholstery and climate control. 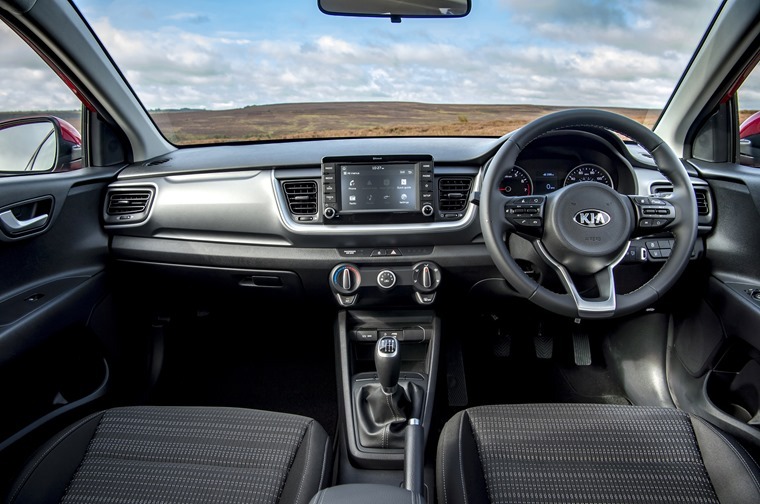 ‘2’ also comes well-equipped, featuring 17in alloy wheels, air con, all-round electric windows, rear parking sensors, steering wheel-mounted audio controls, folding rear seats and Bluetooth connectivity. A handy adjustable boot floor in the First Edition allows the 352-litre boot to adapt to different needs too, while the interior itself is set to be just as customisable as the exterior thanks to a range of contrasting trim options. Engine-wise, three units are available, with the least potent 1.4-litre petrol engine producing 98bhp and results in a 0-60mph run of 12.2 seconds. A better bet is the smaller (albeit more potent) 1.0-litre turbocharged petrol, which offers 118bhp and a sub-10 second 0-60 time. A 1.6-litre diesel is also offered that produces 108bhp and a useful 260 Nm of torque, with official combined economy standing at an impressive 67.3mpg. Out of the showroom the most basic 1.4-litre Stonic will cost from £16,295, rising to £20,495 for a range-topping ‘First Edition’ diesel.